When you first think of a shipping container, warm and homely doesn’t often come to mind. But in actual fact, with a bit of clever engineering and design work they can be turned into a welcoming and comfortable space for you and your family to reside. The tiny house movement has been taking the world by storm, with more and more families choosing to opt for smaller living spaces as a more affordable and more sustainable alternative to a regular sized home. 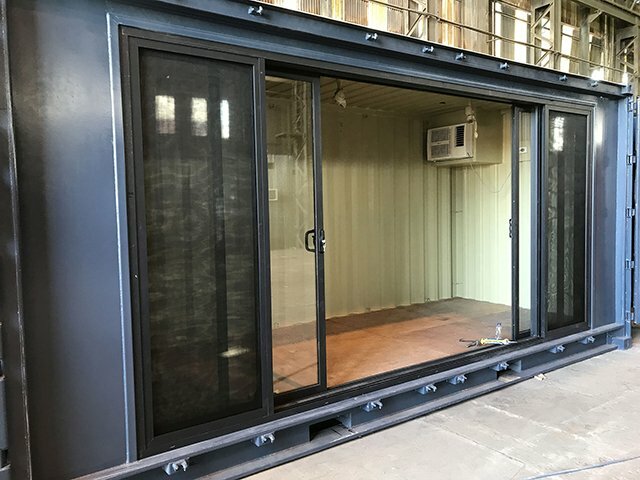 Many people build their tiny homes using traditional building materials, but others are looking at shipping containers as an ideal solution to get started. Let’s have a look at why shipping containers are a perfect solution for anyone that wants to have a tiny house. Containers that are deemed no longer fit for shipping would otherwise sit somewhere gathering dust. By recycling into a tiny home, you are making use of what was an otherwise single-use product. Shipping containers are built to protect the cargo that they carry when traveling across the ocean and are able to withstand strong winds and big waves. Using them for your tiny home means you have a tough exterior that is weatherproof, and you won’t need to worry about it collapsing at any time. While many singles or couples may do just fine with one shipping container converted into a tiny home, there is also the option to join two or three together to create more space for a family. Containers can be placed side by side or on top of each other with some clever engineering to ensure stability and weather resistance. Inside you have endless options in terms of customisation so you can create a space that can accommodate your needs and the different areas that you would like. One of the reasons that people are turning to tiny homes as a permanent living solution is due to the rising house costs across the country. Depending on your design, recycling a second-hand container will lower your building costs compared to building a tiny home from scratch. Utilising a shipping container means that you already have 4 walls and a roof, which will save some building time. Of course you will need to make modifications, but having a base to start with can make things seem less overwhelming and will ensure that your home is finished faster. Unlike regular homes, tiny houses can be transported easily from place to place and this is especially true for those made out of containers since there are trucks available to cater for their exact size. Utilising a shipping container (or two!) for your tiny home project brings so many benefits that it is definitely an option worth considering. Not only are you able to recycle something that would ultimately have no other use, but you can also have a great base to build upon to design your dream tiny home. Eager to find out how else you can modify containers? Take a look at our past work here.